With Richard Newman’s untimely death we have lost our archaeology guide, leader and inspiration. But we have his legacy to us of tremendous enthusiasm, knowing the possibilities and some skills to keep going. Practical archaeology is one of the flagship activities of our Society. As a Society one of our aims is to give every member the chance to do their own research as well as listen to the results of others. In archaeology we have the possibility of real team work. 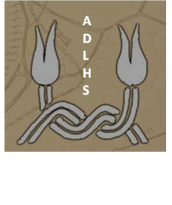 The ADLHS Committee has set up a Sub Group on Archaeology. The Group is currently Caron Hill (lead), Val and David Rea, Victoria Cozens, Peter Howard-Dobson and Alison Andrews but more people would be very welcome. Our aim is have an ongoing programme of projects and events. We want to learn and uncover more through archaeology the history of Aldeburgh and its surrounding area, so we want to have a rolling programme. We had the final presentation of all the digs at Barbers Point on 7 May 2015. The excellent Touching the Tide 32 page booklet ‘Life and Death at Barbers Point’ is available If you would like a copy you can get one from Aldeburgh Museum in the Moot Hall (£2) or send a cheque (£2.50) to Aldeburgh Museum, Moot Hall, Aldeburgh IP15 5DS with your contact details and one will be posted to you. Chapel Barn Farm field walking - see pictures in the gallery and Final Report HERE. Thursday 24 September 2015 proved to be a truly memorable day for the 34 people who took part in the ADLHS field walking at Chapel Barn Farm. Early rain made the start a bit damp, but did have the beneficial effect of giving the surface material another wash; then the sun came out and the rest of the day was brilliant - happy walkers, smooth organisation, friendly professional experts, and at the end a concerted push to get all the finds washed and bagged. We calculate that over 15 acres were examined, which is a great tribute to the team who meticulously measured and marked out the field, as well as to those cheerful walkers. ​​Our resident archaeologist for the day, Ruth Beveridge, reckoned over a thousand pieces were found, a mix mostly of pottery and ceramic building material. Very little after late medieval. Some Roman & Saxon, a few prehistoric (bronze age?) pottery pieces, and some worked flint. There were a number of lovely medieval floor tiles which Ruth thinks probably came from the chapel. Decisions about whether to go further with things like geophysics surveys etc will be considered once we have Ruth's detailed report. 2. There may be a national project starting this year to find and monitor exposed vulnerable archaeological sites, including wooden structures, in the tidal zone. The project works under the name CITiZAN (Coastal and Intertidal Zone Archaeological Network). The project is being led by the Museum of London Archaeology with other archaeologists in York and Plymouth: They visited the Estuary last autumn being guided by Richard Newman to the Saxon wooden structures we found off Barbers Point and to more sites Richard knew of near New England Farm. We are waiting to hear more details of what will be involved. 3. We are on the look out for possible digs. One hope has fallen by the wayside but if anyone can point us to other opportunities please let us know. 4. The Museum wants to allocate a space to all the Anglo Saxon finds. Clearly we would like to do this so that people can see what there is to be found and lour local history. If any of you have experience with exhibits and museums, please let us know as we need to share the archaeological work. 5. Flint identification seminar July 2017. Nineteen members and friends of ADLHS met together in the Church Hall on 8 July for a flint identification course led by Mike Green of Suffolk Archaeology. Mike’s brief was to help us identify flints which have been deliberately struck by man (or woman) rather than accidentally by a tractor or formed by other natural forces. All of us who helped on the field walking survey of Chapel Barn Farm had felt somewhat daunted by flints: were they significant? Should we keep them or chuck them? Everything went swimmingly as Mike, helped by his colleague Alex Fisher, handed round examples of struck flint from Palaeolithic hand axes through to flints from 19C flintlock rifles. He explained how they were struck, why and what key features we should look for. In tools from prehistory we needed to look for the striking platform, the bulb of percussion and ripple marks. It was when he introduced the natural examples that things got a bit more complicated: pot lids, looking for all the world like carefully worked pieces are in fact the result of natural frost fracturing. And all those flints struck by the tractor seem to exhibit one or two key features – but don’t really. All agreed we’d learned a huge amount – but I think all agreed we’d need Mike back for a refresher course! If anyone wants to join in and help keep all this going, whether digging, coordinating, curating, publishing, bid writing- many skills please let us know.